Alumnus Mike Cagney (Porter, ’93) is using a marketplace lending model to help students refinance their college loans and is transforming an industry in the process. If Uber can radically change transportation and Airbnb can disrupt the hotel industry, can the same be done for financial services? 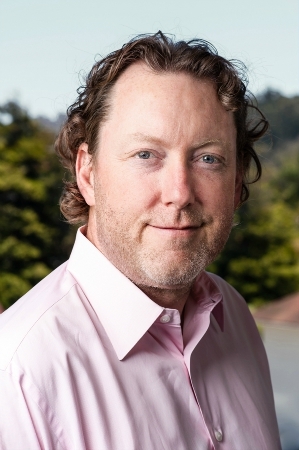 Yes, according to UC Santa Cruz alumnus Mike Cagney (Porter, ’93), co-founder of SoFi. Cagney, who graduated with a combined BA/MS degree in applied economics is taking on the student loan problem - no small feat. $1.2 trillion of debt is currently outstanding. Undergraduates leave school owing an average of almost $35,000 and many graduate programs come at a six figure price tag. When student loans come with an interest rate of up to 8.5%, SoFi asks controversial questions: why are loan providers charging such high rates, especially to financially responsible borrowers? Why hasn’t the loan application process moved online and emerged from the dark ages? Why can’t a financial services firm want its customers to succeed? The concept of SoFi was born from the idea of increased transparency and trust between a loan provider and a lender. Cagney and his co-founders began SoFi with a straightforward premise: Connect alumni investors to alumni borrowers. They wanted to take into consideration factors that a credit score often ignores, such as education and career trajectory, to help get students better interest rates on their loans. When Cagney first pitched SoFi’s marketplace lending business model in 2011, he shares how investors were wary. The economy was only beginning to recover and entering the student loan market seemed incredibly risky. But thanks to the fearless approach to problem-solving he developed at UCSC, he was not phased by criticism. “UCSC instilled a level of questioning the status quo,” he says, where the campus culture encourages students to be independent and bold. Economics professor Mike Dooley, Cagney’s thesis advisor and mentor, is known forencouraging students to differentiate themselves. “The best ideas seem impossible to pull off,” Cagney adds. He shares how at UCSC, he was shown there are always other solutions to a problem. Cagney’s tenacity is paying off. Cagney and his team even earned a spot onCNBC’s Top 50 Disruptor list for its revolutionary role in the financial services space and to date, funded $3 billion in loans thanks to its expansion into home mortgages and personal loans. Its investors include Paypal founder, Peter Thiel and other successful venture capitalist firms like Third Point, Wellington, and IVP. Challenging conventions is what makes Cagney and his company so innovative. By removing traditional distribution channels and increasing accountability, SoFi is boldly changing the financial services industry. “To change a category, you have to challenge the conventions in that category.” Cagney says. If you are passionate about something, pursue it, says Cagney. Whether it is learning advanced statistics, teaching yourself to code, trading some stocks, or even going to office hours, Cagney recommends students take advantage of any and all resources available.